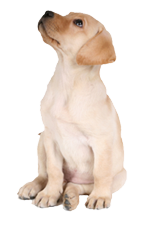 Does your dog have a problem with jumping, chewing or nipping, situational "deafness", fear or aggression related anxiety, or overall lack of household manners? We can help! Now serving Cleveland, Akron, Hudson, Twinsburg, Streetsboro, Aurora, and Surrounding Areas. Read our schedule for more details and to register online. What are the benefits of working with a professional dog trainer? If you wanted to learn how to play piano, you'd hire an instructor. Should you develop a burning desire to learn French, you'd hire a tutor. When you sign your children up to play soccer, you feel more comfortable if they're being supervised by a coach. Yet, many people seem to be under the impression that they should 'just know' how to train their dog even though learning to speak to another species is far more difficult than any of the above mentioned activities! A trainer has education, experience, and expertise that the average joe lacks when it comes to training animals. Let them share their knowledge with you. Furthermore, a trainer can also observe you in action in order to help you adjust your technique, provide you with a support system as your dog goes through difficult life stages, and keep you well informed on all the latest research and methods.